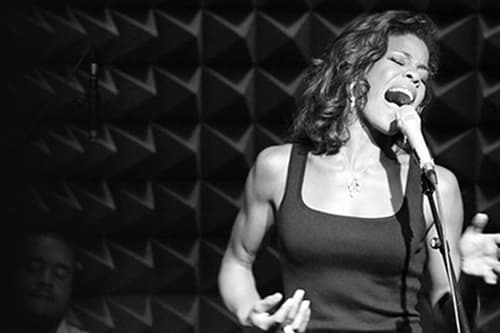 Join us for an evening of elegance on July 11th, at 6 PM as dynamic vocalist Nicole Henry leads the original “Great Ladies of Song” benefit concert with returning Vail Jazz Alumni. The elegant evening will pay tribute to legendary jazz greats including Ella Fitzgerald, Sarah Vaughan, Aretha Franklin, Nancy Wilson, Nina Simone, Dinah Washington, and Whitney Houston. Nicole is no stranger to the jazz world, with international performances in over 15 countries, and seven vocal jazz albums ranging from unique renditions of the Great American Songbook, to soulful hits of the 60s. Shortly after her debut in 2004, and she was awarded “Best New Jazz Artist”. More recently, Nicole was awarded by the Soul Train Awards for “Best Traditional Jazz Performance” in 2013. Vail Jazz is thrilled to welcome such a diverse, and humble artist to the stage. Creating a brand new musical experience that is unique and engaging is not something that every artist in the industry can do today. Nicole seems to effortlessly establish an atmosphere that captures an original sound and mood at each performance. Nicole highly excels at this – whether performing a Cole Porter tune or a James Taylor cover, she is able to captivate an audience’s attention with her charming storytelling, and is able to convey powerful emotions through her vocals. Every song she sings is truly with her own interpretation and cannot be compared to others. Taking these classic songs, and exploring new colors, rhythms, harmonies and instrumentation, She brings old jazz standards to life such as “At Last” and “I’ve Got You Under My Skin” and pop songs such as “Landslide” and “Big Yellow Taxi” in renditions that are new and pleasing to the ear. Her warm voice makes you tune in to her performance instantly, and yearn for more after the performance has finished. With intriguing musical arrangements, joining on stage at this special event will be Nicole’s trio, Peter Wallace on piano, Eric England on bass, and David Chiverton on drums. Vail Jazz is excited to bring back alumni of the Vail Jazz Workshop, Jumaane Smith (’98 trumpet), Hailey Niswanger (’07 alto sax) and Kyle Tilstra (’13 trombone) to join in for this special performance.